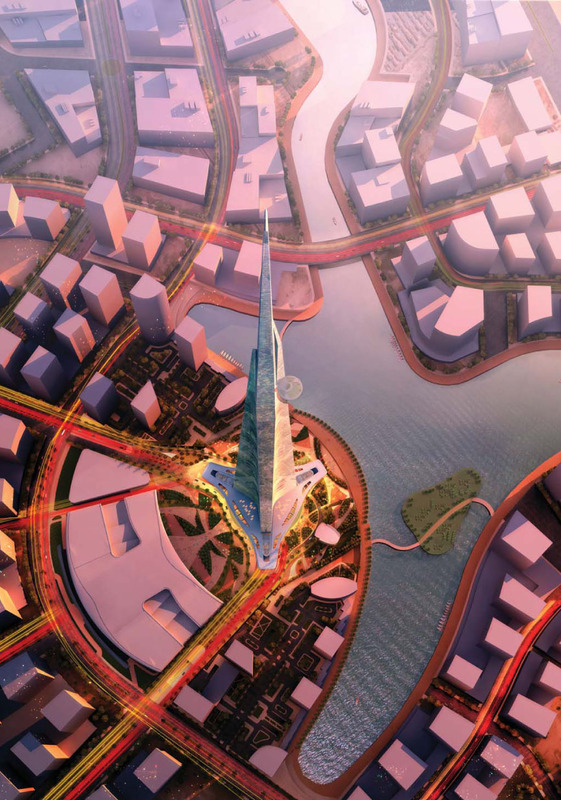 Jeddah, Saudi Arabia, is slated to become the home of the world’s tallest building. Jeddah, a city of three million in the Kingdom of Saudi Arabia, will soon be known for having the world’s tallest building. The Kingdom Tower, as it will be called, is a design conceived by Adrian Smith + Gordon Gill Architecture (AS+GG), a Chicago-based firm. 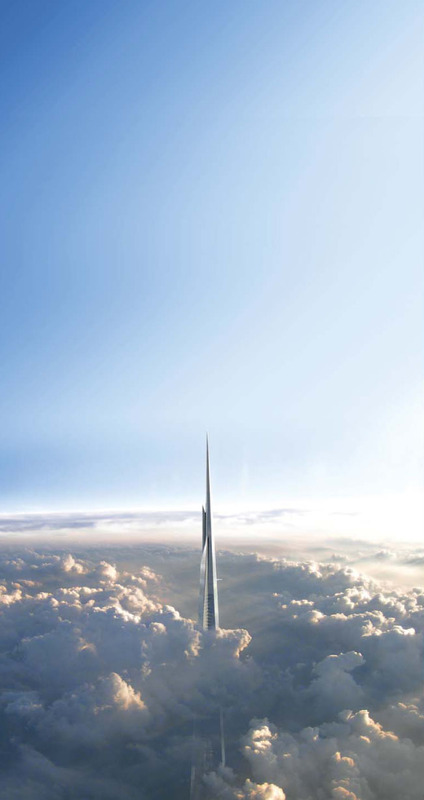 Smith, while at SOM, partnered on the design of the current tallest building in the world – the Burj Khalifa in Dubai, United Arab Emirates. Historically, Jeddah is known for banking, as it was where the industry was founded in Saudi Arabia. Halfway up the Red Sea coastline on the western side of the country, Jeddah is a powerful cultural indicator and is considered the most diverse, cosmopolitan, and tolerant of Saudi Arabian cities. Its oil-based economy has been largely responsible for the city’s growth and diversification, but new urban development should soon expand that economic base. 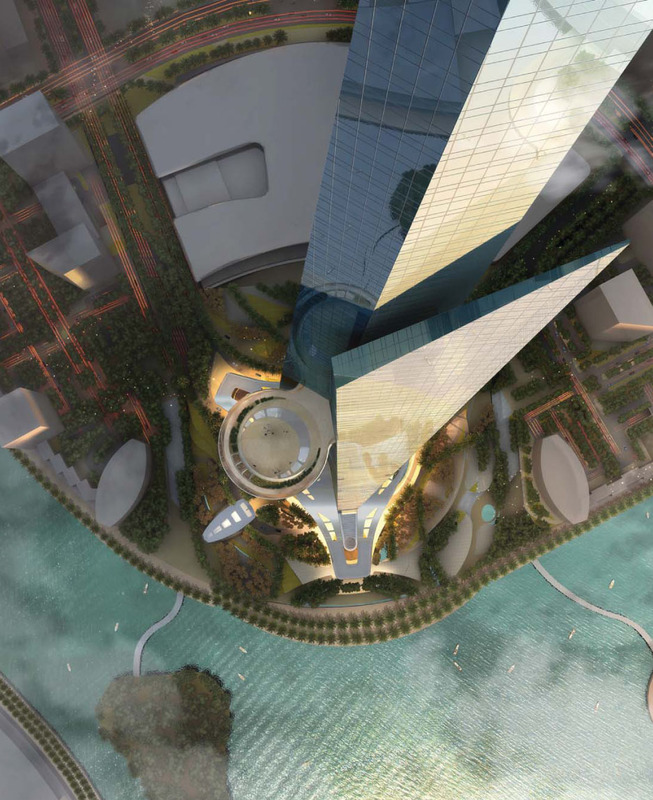 The Kingdom Tower is the first phase of development for – and eventual centerpiece of -- a $20 billion dollar development area known as Kingdom City (its master plan was designed by HOK Architects). 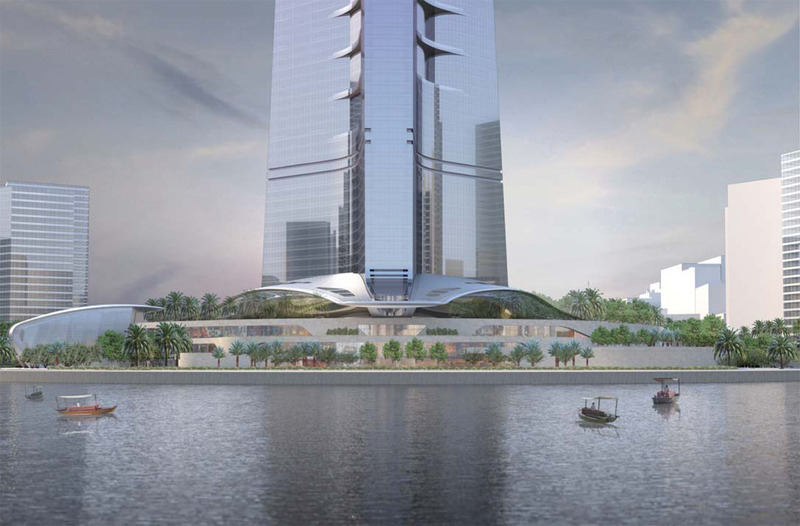 The 23-hectare Kingdom Tower Waterfront District, also designed by AS+GG, will provide a pedestrian context for the skyscraper and will weave it into the rest of the development. 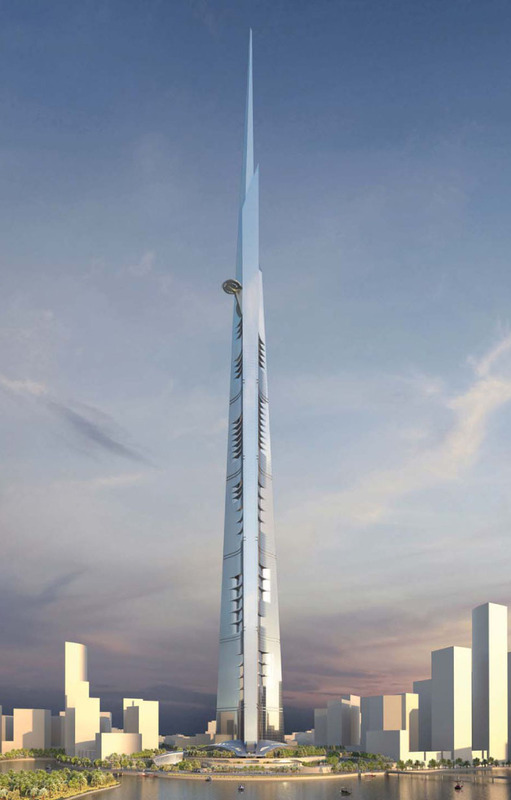 When finished, the tower will be 3,280' tall – 568' taller than Burj Khalifa. It will take 63 months to build. Inside, the building will house a Four Seasons Hotel, luxury apartments and condominiums, and office spaces. 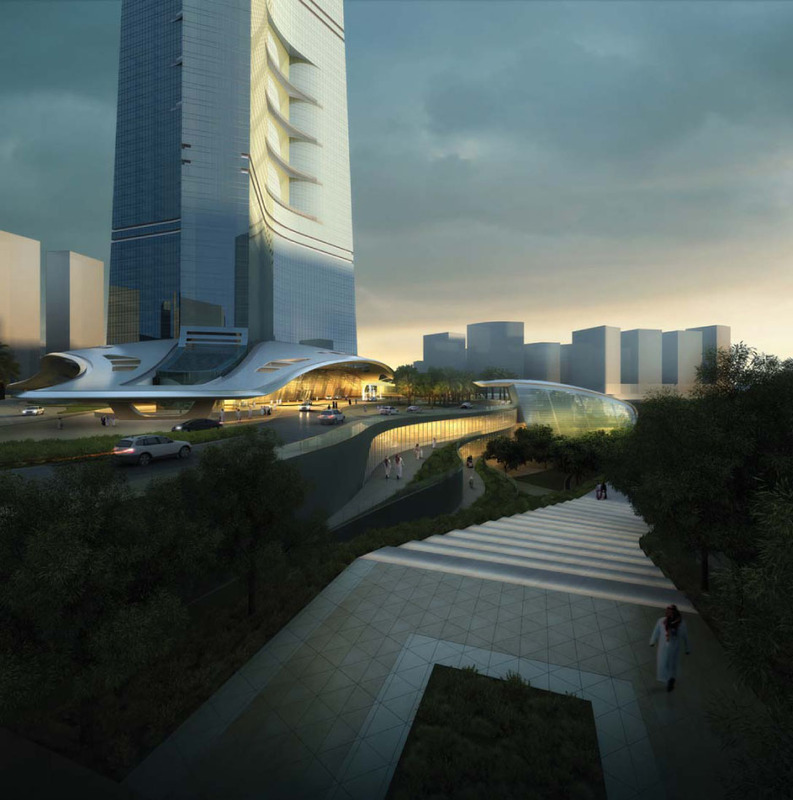 The sky terrace will be the world’s highest, located on level 157. Originally, the sky terrace was intended to be a helipad, but the altitude was too great for landing a helicopter. Instead the space will be used as a garden, adding 30 m of outdoor area. Altogether there will be 59 elevators; the ones to the observatory will travel in both directions at 10 meters per second. Each side of the building will have a series of notches, allowing shadows to partially cool the building during the scorching summers; these notches will also create terraces. The building’s design is inspired by desert flora. It resembles new shoots springing up from the ground; near the building’s top the fronds begin to separate. 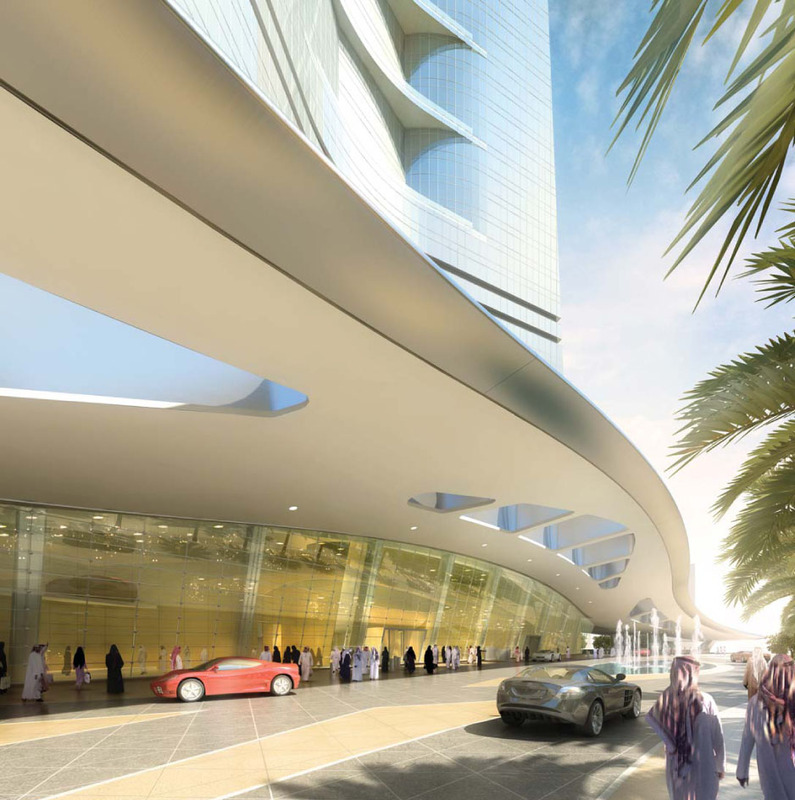 At its base, the Kingdom Tower will have a 2 square mile three-petal footprint, continuing the plant-life theme. From the base, the petals will taper as they rise upward, creating a wing-like shape that will reduce wind impact and displace weight more evenly. The budding plant theme has symbolism – it will represent new life and growth for Saudi Arabia. According to an AS+GG publication, it expresses “an analogy of new growth fused with technology.” It is hoped that the $1.2 billion structure will serve as a major landmark and spark continued development for Jeddah.